Brian D. Birch, director of the Religious Studies Program at Utah Valley University. The new edition of the Mormon Studies Review features a roundtable discussion between various scholars on the question of the state of Mormon studies. The roundtable kicks off with a thoughtful piece by Brian D. Birch, whose argument has two components. “On the one hand, I seek to argue that Mormon studies absent theological and apologetic voices is artificially exclusionary and unproductive. One the other hand, I argue that the appeal to religious authority in deflecting critical arguments can be equally inappropriate and detrimental.” It is an aspect of Birch’s first point that I shall pay attention to in this blog post. His second point will have to wait for another day. Birch’s essay includes a brief discussion of “the role of Mormon apologetics” in the burgeoning field of Mormon studies. 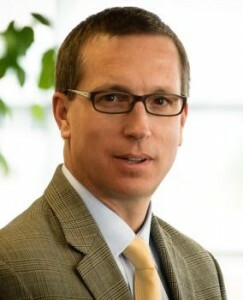 Birch indicates that, like Daniel C. Peterson, whom he quotes, he (Birch) would “like to incorporate apologetic voices” in Mormon studies. Nevertheless, Birch voices his concern that an apologetic approach in Mormon studies should, ideally, be falsifiable. By this Birch means that any apologetic argument must include an “openness to error and revision of one’s position.” Birch goes on to explain that he raises this concern out of a practical acknowledgement of the role Mormon apologetics has traditionally played within the Church; a role, he correctly notes, that has served to “buttress,” but not definitively “prove,” Mormon belief in the face of criticism. Whose voices will be included? To what extent would a defeating argument be allowed voice in this imagined community? Perhaps more importantly, would it be recognized as such? I maintain that in order to preserve both methodological consistency and ethical charity, inclusivity must allow arguments that could potentially defeat a valued apologetic argument. This has not been readily observed in the LDS apologetic community; but if apologetic voices are to maintain academic legitimacy in the conversation, they need to be publically accessible to criticism and potential defeat. These are fair questions, and deserve some attention. Birch’s point above is actually similar to a point that Hugh Nibley has made on a number of occasions. Although not speaking about apologetics per se, Nibley did note how, in his claimed ability to reveal ancient scripture, Joseph Smith “took all the initiative and did all the work, withholding nothing and claiming no immunity on religious or any other grounds; he spreads a thousand pages before us and asks us to find something wrong.” A century earlier B. H. Roberts expressed the same sentiment. The fact should be recognized by the Latter-day Saints that the Book of Mormon of necessity must submit to every test, to literary criticism, as well as to every other class of criticism; for our age is above all things critical, and especially critical of sacred literature, and we may not hope that the Book of Mormon will escape closest scrutiny; neither, indeed, is it desirable that it should escape. It is given to the world as a revelation from God. It is a volume of American scripture. Men have a right to test it by the keenest criticism, and to pass severest judgment upon it, and we who accept it as a revelation from God have every reason to believe that it will endure every test; and the more thoroughly it is investigated, the greater shall be its ultimate triumph. That being said, something about Birch’s argument seems rather incongruous. Birch’s claim that this principle of falsifiability “has not been readily observed in the LDS apologetic community” strikes me as a mischaracterization. In fact, a look at its publication record indicates that the apologetic efforts undertaken by the now defunct Foundation for Ancient Research and Mormon Studies (FARMS) did in fact accommodate this falsifiability principle. Consider the following examples. 1. The work of Hugh Nibley, arguably one of Mormonism’s most important apologetic giants, has been critiqued and scrutinized in the pages of the FARMS Review. Although the authors of these reviews are ultimately very positive in their assessments of Nibley’s work, they do not shy away from voicing points of disagreement with Nibley, or where they feel Nibley’s scholarship is wanting. 2. Various Book of Mormon geography models have been critiqued, sometimes heavily so, including geographical models that have been offered as evidence for the Book of Mormon’s historicity. Likewise, attempts to use DNA evidence to confirm the historicity of the Book of Mormon have been heavily criticized. 3. Apologetic efforts to defend the Book of Abraham from criticism have been critiqued. 4. A popular doctrinal commentary on the Book of Mormon written by two faithful Latter-day Saints has been scrutinized and critiqued. 5. Both purported ancient Near Eastern and Mesoamerican connections with the Book of Mormon have been scrutinized and critiqued. 7. Even entire volumes produced by FARMS itself have not escaped unscathed in the old issues of the FARMS Review. 8. A critical assessment of Book of Mormon apologetics that outlines the methodological strengths and weaknesses of the different “schools” of this area of research was published in 2004. 9. Two evangelical scholars have criticized Stephen E. Robinson’s apologetic for Mormonism. This sampling above is by no means exhaustive, but it does show that the Church’s formerly most visible apologetic entity did not shy away from embracing the principle of falsifiability in its apologetic efforts. As such, I wonder whom Birch had in mind when he spoke of “the LDS apologetic community” being reluctant to introduce arguments that could potentially defeat previous apologetic efforts. Did he mean FARMS? If so, the evidence above strongly contradicts him. Does he mean amateur apologists on Internet message boards or social media outlets? Does he mean FairMormon? Or the Interpreter Foundation? As it currently stands, this point by Birch is too vague and problematic, and should be modified. Notwithstanding this problematic assertion, Birch has offered some intriguing ideas about the interplay between apologetics and the new Mormon studies movement that should be carefully considered by those interested in this subject. I appreciate that Birch has given us some thoughtful perspective on this question. Post Script: Over at Dan Peterson’s blog, a commenter rightly criticized me for conflating criticism with the falsifiability principle. Since I may not have been clear above, I will repost my response to this commenter here for further clarification. My point in listing examples where FARMS has criticized past apologetic efforts (even of FARMS material) was to show that, by Birch’s own criteria, LDS apologists have been producing apologetic material that is capable of being scrutinized and falsifiable. There have been plenty of past apologetic efforts that have appealed to scrutable data and evidence, including apologetic efforts to defend the Book of Mormon, the Book of Abraham, etc. These apologetic efforts, as my blog post shows, have met with various levels of success, as they’ve been critiqued on purely academic grounds. Think, for example, of John Gee criticizing Joe Sampson for his (Sampson’s) wild linguistic theories about Egyptian, Hebrew, etc. This is a good example of a falsifiable apologetic effort by Sampson being heavily scrutinized by another apologist. In other words, that FARMS has criticized other apologetic efforts is not the falsifiability principle in and of itself, but is rather evidence that Mormon apologetic efforts have been falsifiable. As such, I believe the examples I cited in my blog post should satisfactorily show that certain apologetic efforts to “buttress” faith have proven falsifiable and worthy of critique, and thus Birch’s point on this matter, in my opinion, needs to be revised. : Brian D. Birch, “In Defense of Methodological Pluralism: Theology, Apologetics, and the Critical Study of Mormonism,” Mormon Studies Review 1 (2014): 55.
: Birch, “In Defense of Methodological Pluralism,” 57.
: Birch, “In Defense of Methodological Pluralism,” 58, quoting Daniel C. Peterson, “The Role of Apologetics in Mormon Studies,” Interpreter: A Journal of Mormon Scripture 2 (2012): xii. : Birch, “In Defense of Methodological Pluralism,” 59.
: Birch, “In Defense of Methodological Pluralism,” 59–60. : Birch, “In Defense of Methodological Pluralism,” 60.
: Hugh Nibley, “To Open the Last Dispensation: Moses Chapter 1,” in Nibley on the Timely and the Timeless, 2nd ed. (Provo, Utah: Brigham Young University Religious Studies Center, 2004), 1.
: B. H. Roberts, “The Translation of the Book of Mormon,” Improvement Era 9 (April 1906): 435–436. : Daniel C. Peterson, “Editor’s Introduction: Where Ideas Won’t Face Serious Challenge,” FARMS Review 21/1 (2009): xviii. : Todd M. Compton, “Review of Lehi in the Desert, The World of the Jaredites, There Were Jaredites (1988); An Approach to the Book of Mormon (1988); and Since Cumorah (1988),” Review of Books on the Book of Mormon 1/1 (1989): 114–18; William J. Hamblin, “Time Vindicates Hugh Nibley,” Review of Books on the Book of Mormon 2/1 (1990): 119–27; David B. Honey, “Ecological Nomadism versus Epic Heroism in Ether: Nibley’s Works on the Jaredites,” Review of Books on the Book of Mormon 2/1 (1990): 143–63; Stephen D. Ricks, “Review of Lehi in the Desert, The World of the Jaredites, There Were Jaredites (1988),” Review of Books on the Book of Mormon 2/1 (1990): 128–42; John A. Tvedtnes, “Review of Since Cumorah (1988),” Review of Books on the Book of Mormon 2/1 (1990): 175–81; Daniel C. Peterson, “Review of the Prophetic Book of Mormon (1989),” Review of Books on the Book of Mormon 2/1 (1990): 164–74; Duane Boyce, “Do Liberal Economic Policies Approximate the Law of Consecration?” FARMS Review 21/1 (2009): 197–213. : John Clark, “A Key for Evaluating Nephite Geographies,” Review of Books on the Book of Mormon 1/1 (1989): 20–70; William J. Hamblin, “A Stumble Forward?” Review of Books on the Book of Mormon 1/1 (1989): 71–77; Les Campbell, “Review of The Lands of Zarahemla (1993),” Review of Books on the Book of Mormon 6/2 (1994): 139–45; John Clark, “The Final Battle for Cumorah,” Review of Books on the Book of Mormon 6/2 (1994): 79–113; John E. Clark, “Two Points of Book of Mormon Geography: A Review,” FARMS Review of Books 8/2 (1996): 1–24; Michael R. Ash, “Lehi of Africa,” FARMS Review of Books 13/2 (2001): 5–20; John E. Clark, “Evaluating the Case for a Limited Great Lakes Setting,” FARMS Review of Books 14/1–2 (2002): 9–77; Randall P. Spackman, “Interpreting Book of Mormon Geography,” FARMS Review 15/1 (2003): 19–46; Brant Gardner, “Confusion of Tongues and a Map,” FARMS Review 15/2 (2003): 15–24; Allen J. Christenson, “Linguistic Puzzles Still Unresolved,” FARMS Review 16/2 (2004): 107–11; John E. Clark, “Searching for Book of Mormon Lands in Middle America,” FARMS Review 16/2 (2004): 1–54; Lawrence L. Poulsen, “The Light Is Better Over Here,” FARMS Review 19/2 (2007): 11–19; Brant A. Gardner, “This Idea: The ‘This Land’ Series and the U.S.-Centric Reading of the Book of Mormon,” FARMS Review 20/2 (2008): 141–62; Matthew Roper, “Losing the Remnant: The New Exclusivist ‘Movement’ and the Book of Mormon,” The FARMS Review 22/2 (2010): 87–124; “Joseph Smith, Revelation, and Book of Mormon Geography,” FARMS Review 22/2 (2010): 15–85; John E. Clark, “Revisiting ‘A Key for Evaluating Book of Mormon Geographies’,” Mormon Studies Review 23/1 (2011): 13–43. 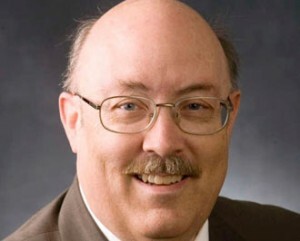 : Gregory L. Smith, “Often in Error, Seldom in Doubt: Rod Meldrum and Book of Mormon DNA,” FARMS Review 22/1 (2010): 17–161; Ugo A. Perego, “The Book of Mormon and the Origin of Native Americans from a Maternally Inherited DNA Standpoint,” FARMS Review 22/1 (2010): 191–227. : John Gee, “‘Bird Island’ Revisited, or the Book of Mormon through Pyramidal Kabbalistic Glasses,” Review of Books on the Book of Mormon 7/1 (1995): 219-28; “Telling the Story of the Joseph Smith Papyri,” FARMS Review of Books 8/2 (1996): 46–59; “One Side of a Nonexistent Conversation,” FARMS Review 15/1 (2003): 81–85; “A Method for Studying the Facsimiles,” FARMS Review 19/1 (2007): 347–53. : Louis C. Midgley, “Prophetic Messages or Dogmatic Theology? Commenting on the Book of Mormon: A Review Essay,” Review of Books on the Book of Mormon 1/1 (1989): 92–113. : Terrence L. Szink, “Review of The Messiah in Ancient America (1987),” Review of Books on the Book of Mormon 1/1 (1989): 132–34; David A. Palmer, “Review of The Land of the Nephites (1988),” Review of Books on the Book of Mormon 2/1 (1990): 67–73; Michael J. Preece, “Review of Exploring the Lands of the Book of Mormon (1989),” Review of Books on the Book of Mormon 3/1 (1991): 32–51; Martin Raish, “Review of Ancient American Indians: Their Origins, Civilizations, and Old World Connections (1991),” Review of Books on the Book of Mormon 4/1 (1992): 21–23; Stephen E. Thompson, “Review of Southwestern American Indian Rock Art and the Book of Mormon (1991),” Review of Books on the Book of Mormon 4/1 (1992): 65–76; John A. Tvedtnes, “What’s in a Name? A Look at the Book of Mormon Onomasticon,” FARMS Review of Books 8/2 (1996): 34–42; Dana M. Pike, “Review of Dead Sea Scrolls and the Mormon Connection (1996),” FARMS Review of Books 9/2 (1997): 88–98; John Gee, “Some Notes on the Anthon Transcript,” FARMS Review of Books 12/1 (2000): 5–8; Andrew J. McDonald, “New Evidences for Old? Buyer Beware,” FARMS Review of Books 12/2 (2000): 101–17; Jeffrey R. Chadwick, “The Wrong Place for Lehi’s Trail and the Valley of Lemuel,” FARMS Review 17/2 (2005): 197–215; Brant A. Gardner, “A New Chronicler in the Old Style,” FARMS Review 19/1 (2007): 13–22; “Where Much Is Promised, Less Is Given,” FARMS Review 20/1 (2008): 15–32; “‘With What Measure’?” FARMS Review 21/2 (2009): 153–67. : Kurt Weiland, “Review of Warfare in the Book of Mormon (1990),” Review of Books on the Book of Mormon 3/1 (1991): 141–46; David B. Honey, “Paradigms and Pitfalls of Approach to Warfare in the Book of Mormon,” Review of Books on the Book of Mormon 3/1 (1991): 118–40. : Benjamin N. Judkins, “Recent Trends in Book of Mormon Apologetics: A Critical Assessment of Methodological Diversity and Academic Viability,” FARMS Review 16/1 (2004): 75–97. : Paul Owen and Carl Mosser, “Review of How Wide the Divide? A Mormon and an Evangelical in Conversation (1997),” FARMS Review of Books 11/2 (1999): 1–102. : Michael S. Heiser, “You’ve Seen One Elohim, You’ve Seen Them All? A Critique of Mormonism’s Use of Psalm 82,” FARMS Review 19/1 (2007): 221–66; David E. Bokovoy, “‘Ye Really Are Gods’: A Response to Michael Heiser concerning the LDS Use of Psalm 82 and the Gospel of John,” FARMS Review 19/1 (2007): 267–313; Michael S. Heiser, “Israel’s Divine Council, Mormonism, and Evangelicalism: Clarifying the Issues and Directions for Future Study,” FARMS Review 19/1 (2007): 315–23. : Daniel C. Peterson, “Editor’s Introduction: Reflections on the Reactions to Rough Stone Rolling and Related Matters,” FARMS Review 19/1 (2007): lii.